Yep! We went to Serikin, the border town again this morning. 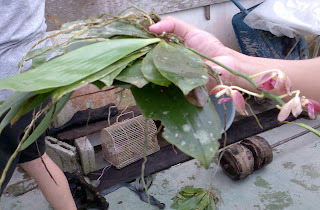 Highlight of the day - we found some rare orchids collected by the natives there. Hubby and friend were very happy with the purchase. 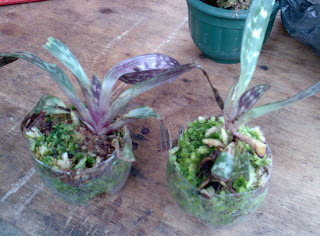 Here are pictures of the orchids.....Sumatrana and some type of lady's slipper...what it is? yet to find out. We will have to wait till it flowers.